Blogging is an excellent time pass, a productive activity, a positive motive, a passion and above all something which inspires me. I have been around blogging world for the last two years. So I am still in my infancy in this blogging world. But still I feel confident enough to share some thoughts, some views, some of my observations regarding blogging and its evolution in Pakistan. With the introduction of Google Urdu Translator i.e translation of roman Urdu into Urdu alphabets by Google has almost revolutionized the Urdu blogging sphere in Pakistan. Bloggers had to use many difficult sort of input tools to write in Urdu while blogging. 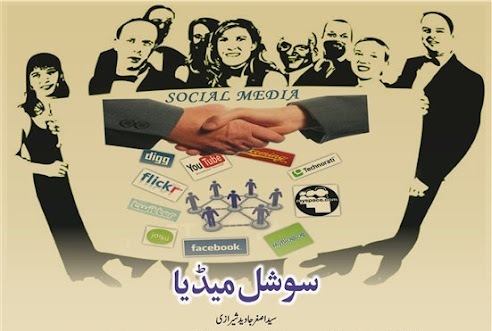 There had been a rapid increase in the Urdu bloggers and their readers in Pakistan and all over the world. Urdu is our national language plus a language which can be understood in all Parts of Pakistan plus many parts of the world where Pakistani people are there. This is also spoken and understood by many other Asian countries like Nepal, Bhutan, Bangladesh, Sri Lanka and last but not the least India. So Urdu has served the purpose and at the verge of becoming one of the most widely spoken and understood languages of the world. The bloggers and what they are writing in Urdu is simply superb. It,s worth reading rather worth appreciating. It can be compared with the stuff at blog sphere of the world at any grounds. I am writing this because I have been a regular reader of Urdu bloggers in Pakistan and all over the world. Most of the urdu bloggers can be found here i.e. URDU BLOGGERS AT FACEBOOK. The future of Urdu blogging seems quite bright. It is because the bloggers like me who do not blog at commercial grounds, seem quite anxious about Urdu blogging. The elders are required to lay the foundations which they have done quite effectively till now. Now its the time for the young blood to take over and carry forward this mission of Urdu Blogging. Good luck and happy Urdu Blogging !! !